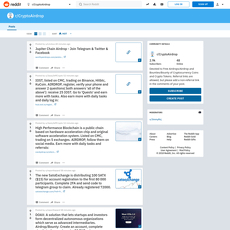 Coinairdrops platform immediately provides users a comprehensive guide detailing and describing what airdrops are and how to obtain them. The information seems decently written and covers pretty much all of the basics one would need to get started. As with all of the other airdrop websites, you’ll find a list of projects that are both past and present where you can claim free cryptocurrencies. 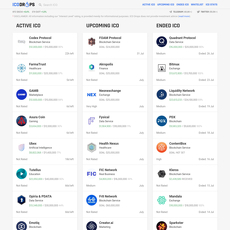 The platform also includes a “hot list”. 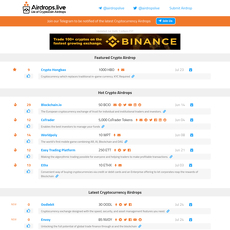 Its unclear what criteria is used to determine which projects land on this list, however, it seems to be an easy and comprehensive area to find air drops. Maybe this list is ideal for those in a hurry and looking for easy airdrops to claim. 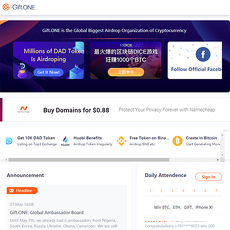 As with most other airdrop websites, its made incredibly easy to contact and list new projects, so if you’re looking to host your airdrops and obtain a little extra attention, bringing your project to this site may be a good place to start. 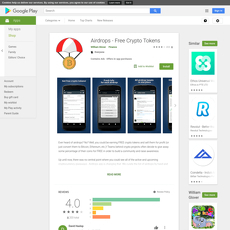 Easy to use and focused on one thing: Airdrops. Hot list is a great place to start if you’re in a hurry or new to the airdrop scene. 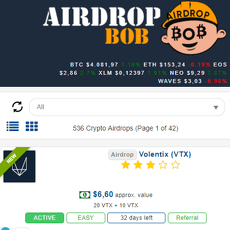 The site contains great information detailed airdrops and a few other crypto need to knows including how to obtain crypto and various methods on storing it. 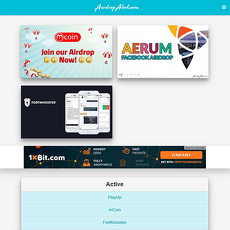 This site is very similar to a plethora of other cryptocurrency airdrop websites. This doesn’t make it bad, it just doesn’t give me any particular reason to frequent it over other sites.